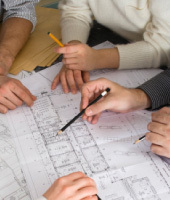 Before you make any firm decisions about your building or construction project call Ella Design & Build. We will be happy to visit you to find out more about your ideas and we are confident in our ability to offer you exceptional value for money. We can provide the full range of skills that are required for management and completion of all your building works, large or small. 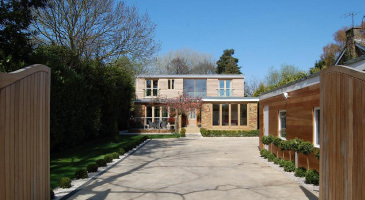 We have brought together all the professional skills, trades and services required, and from initial Design and Engineering, through to Planning, complying with Building Regulations, Construction and Heating. 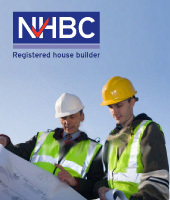 Ella Design & Build are an NHBC registered company so you can be assured by our extensive new home warranties, knowledge and capability. 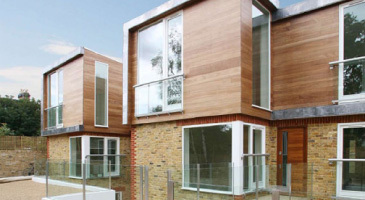 If you are considering a construction project of any size we can offer you advice without obligation before you commit to spending money. 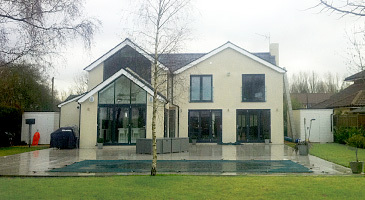 Building Design plans, New Build properties, House Conversions, House Renovations, House Extensions, Flat renovations, Structural Engineering, Planning Applications, Building Regulations Approvals, Single Storey Extensions, Double Storey Extensions, Attic Conversions, Loft Conversions, Attic Extensions, Loft Extensions, Kitchen Design & fitting, Bathroom Design & Installations, Wet Room Design & Installations, Studio Design and Construction, Outbuilding Planning & Construction, Patio Design and External Brickwork, Conservatory Design, Conservatory Building. Areas we cover: Middlesex, Surrey, Northwest London, West and Southwest London Website Design Copyright i-promote.eu Ltd. 2011 All rights reserved.